Fear not though! 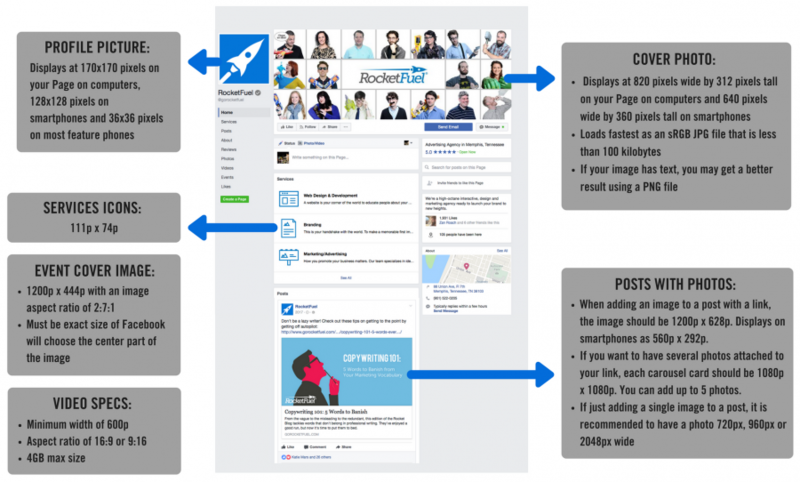 Here at RocketFuel, we have a very strict anti-mangling policy when it comes to design, so we've decided to steer you in the right direction by putting together a handy dandy PSA full of helpful infographics. We like to think of this as our small way of improving everyone's user experience, one cat video at a time. If want a closer look at the guidelines below, simply click on an image to enlarge it. Properly sized Facebook images won't make your uncle's political diatribes more palatable, but at least they'll look sharp when they pollute your feed, right?! Becoming a savvy Twitter user takes more effort than just subscribing to Reply All (though that's not a bad place to start). Before you try to create the next great meme, take a minute to familiarize yourself with the following specs. How is the world supposed to fully enjoy your brunch photos if they aren't properly cropped? Geez, y'all, show a little respect for #sundayfunday. Sure, it's a little drier and less dramatic than its cousin networks, but LinkedIn is a powerful tool for getting noticed, especially if you work in a B2B industry. Just make sure you're sharing media in a way that makes you appear authoritative, not confused. Good! Go conquer the social media universe, and be sure to share these tips with the folks in your life who could use a little help. 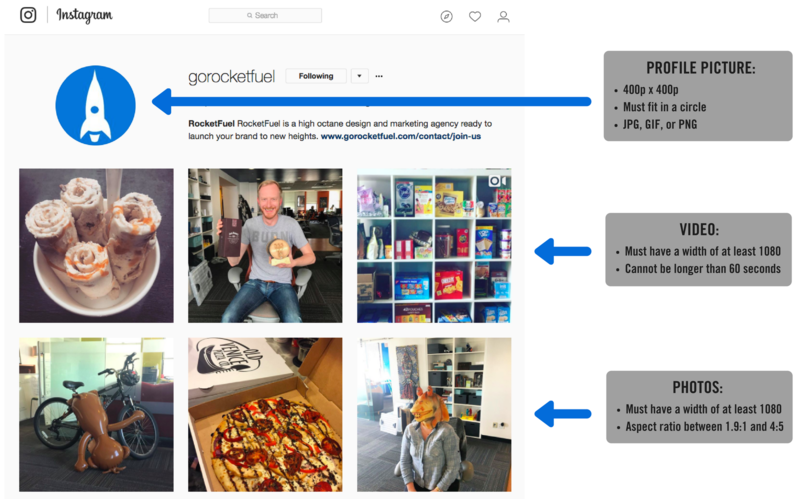 If you're looking for more hands-on social strategy and guidance, we encourage you to get in touch with us (info [at] gorocketfuel [dot] com). We always love making cool things with cool people, which clearly includes you.